Behold Baron Mordo in All His Costumed Glory! Filming Marvel’s Doctor Strange continues in Nepal and, thanks to The Kathmandu Post and the ubiquitous spies of Twitter, the first sightings of Chiwetel Ejiofor as Baron Mordo have surfaced. Chiwetel joined the previously-spotted Benedict Cumberbatch (Stephen Strange) in Patan Durbar Square, to film scenes together. One photographer said it appeared that Mordo was Strange’s “guide” in the scenes. Directed by Scott Derrickson, the film stars Cumberbatch, Ejiofor and Rachael McAdams, Tilda Swinton, Mads Mikkelsen and Michael Stuhlbarg. Doctor Strange opens Nov. 4, 2016.
Who Will Follow Moffat as Showrunner, When the Time Comes? 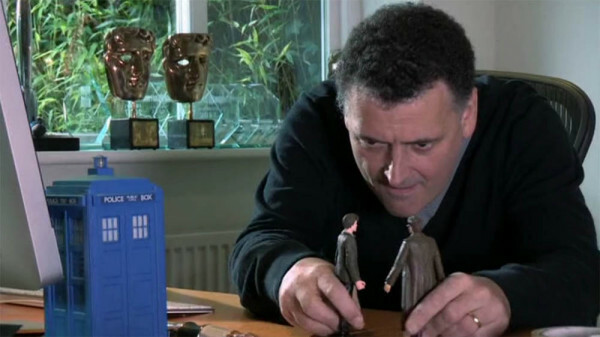 When the time comes for Steven Moffat to step down as lead writer, executive producer and show runner, will the moment be prepared for? Well, that depends on how you interpret what Steven Moffat has had to say on the topic. 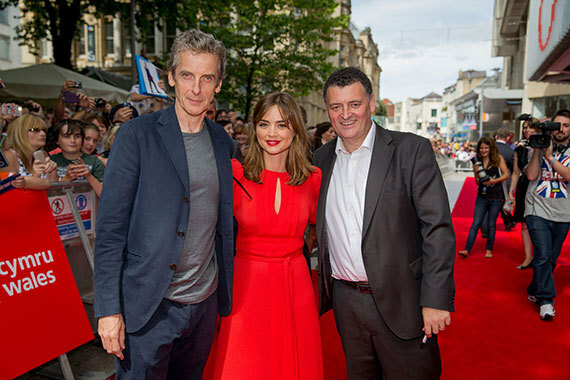 At this year’s Edinburgh International Television Festival, Moffat was asked if he was “grooming somebody else to take over” in the future. The executive producer and lead writer of DOCTOR WHO, Steven Moffat, has promised fans that the series will not be remade in any other country, because that would be… well, crazy. If anyone were to ask me, I’d say it’s an absolutely insane idea. You couldn’t have more than one DOCTOR WHO in the world. It would just be dreadful. SHERLOCK [which he also produces] and DOCTOR WHO are both doing rather well, but they couldn’t be more definitively British. They’re obtusely British. They’re about as British as it gets. I totally agree with this. There is something that’s just… off about DOCTOR WHO that cannot possibly be replicated in America or anywhere else. Something about the worldview of the show is so inimitably British that it cannot be replicated or replaced by flashy effects and more money. Filming for season nine of DOCTOR WHO has been under way for about a month now, and this week the cast and crew moved to a very familiar location: Tonyrefail School in Rhondda Cynon Taff, Wales, which has stood in for Coal Hill School since “The Day of the Doctor,” and appeared in several stories last season. Jenna Coleman was seen filming at the school along with Clara’s motorbike, but neither Peter Capaldi nor the TARDIS were glimpsed. 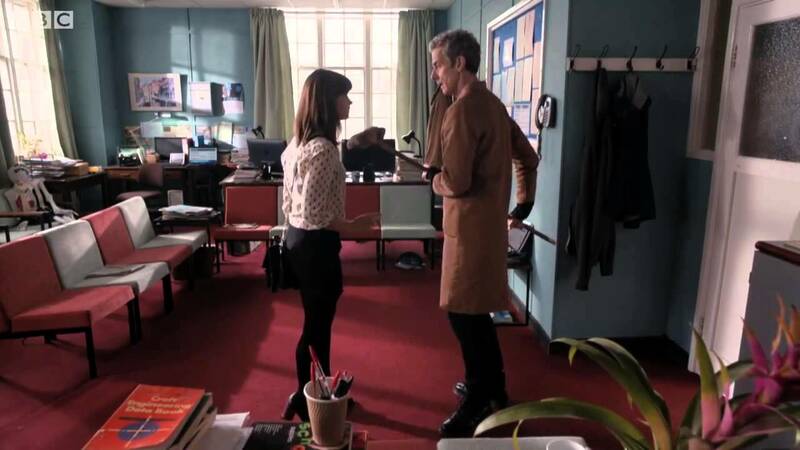 This block of filming is directed by Hettie Macdonald (of “Blink” fame) and the episode is believed to be the season opener, “The Magician’s Apprentice,” which is also believed to be a two-parter. The return of Coal Hill portends not only more workplace drama for Clara, but also another chance to bring back one of the original members of the TARDIS crew, former Coal Hill science teacher Ian Chesterton, played by William Russell. DOCTOR WHO executive editor Steven Moffat revealed that some new writers are lined up for Series 9, which is currently filming two episodes by returning scribe Toby Whithouse. We’re filming our first two-parter at the moment, which in fact are going to be episodes three and four of the new series, a brilliant script by Toby. Then there’s a couple more lined up from other writers, some new, some old, some middle-aged, frankly. It’s a little bit early to start teasing it but I’m a little bit excited. 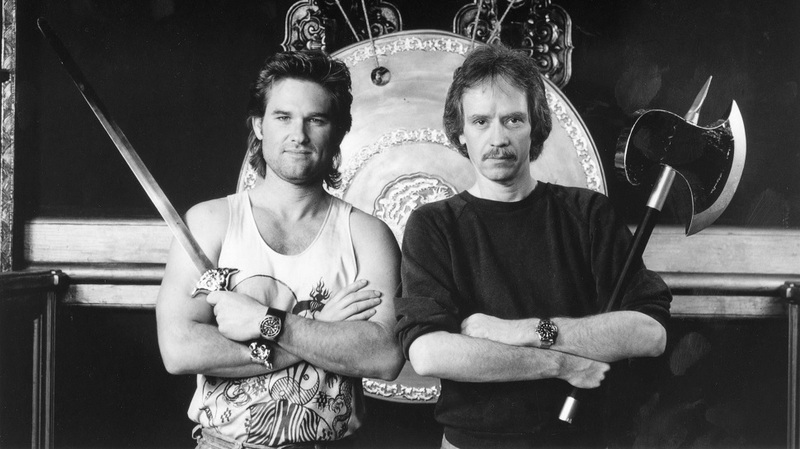 I think we’ve got some very, very good stuff going on. 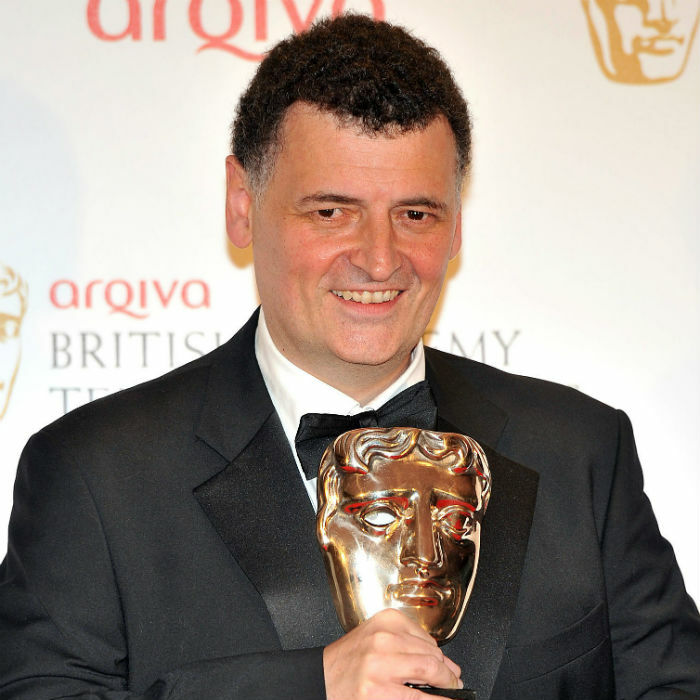 What — were you expecting Moffat to name names?